Developing a creative live tweeting marketing strategy is a great way to increase your reach and influence in your industry. By tweeting during a live event, you can share the play-by-play and people’s experiences as they unfold, which can potentially generate a lot of new followers. Here are seven tips for utilizing live tweeting as a means to help grow your business. 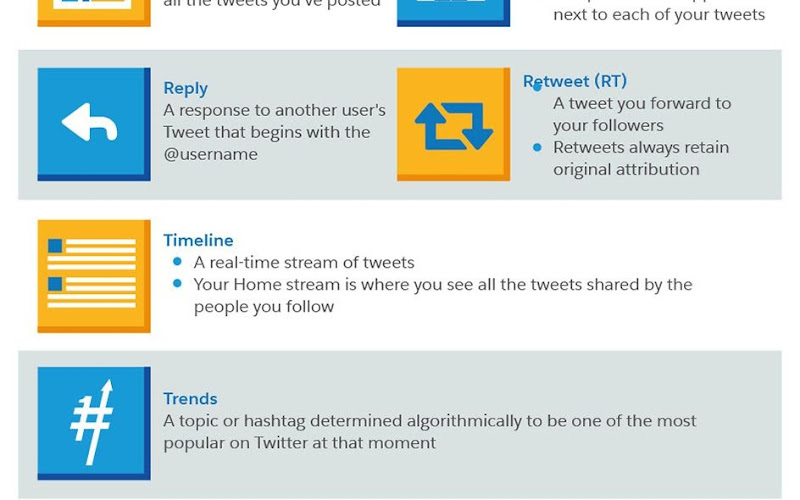 Before you get started with your live tweeting strategy, make sure you are comfortable with Twitter. It’s important to know the basics and lingo prior to wading into the Twittersphere. To help you get started, Twitter has some informative instructional videos and articles on its site. Although you may already have a good sense of your brand’s identity, you may have to adjust your voice a bit for Twitter. Most people are looking for things that entertain, educate, or inspire but what constitutes those things is left up to the audience. For instance, if you want to amuse your audience, you need to determine what type of humor is most appropriate for them. Once you make that determination, you need to have a consistent voice with each tweet. Your audience for live events may be a bit different than those who typically follow you on Twitter, so spend some time researching them and listening to what they have to say. For instance, if you’re a tech company your Twitter following may be largely comprised of users and potential users. However, industry thought leaders may be watching your user’s conference event on Twitter with great interest. In this example, you’d want to get a sense of the topics, events, and news that catch these experts’ attention. You can also review data from Twitter analytics programs to get a feel for what these industry influencers are interested in. Knowing your audience will help determine which event you should target for kicking off your live tweeting marketing campaign. The event could be yours, like a user’s conference, or something you’re attending for professional development. If you’re a B2B business, it’s a good idea to start with your annual industry conference. No matter what event you choose, make sure you have enough time to plan your strategy. You don’t want to pick an event that’s happening in a couple of days. An important aspect of preparing to tweet at your first live event is selecting the right team or person to oversee your Twitter account. You should choose a team member who will be responsible for listening to your audience and who will handle each tweet. This individual should already have a deep knowledge of Twitter and social media, your audience, and what you want to convey. To keep your business’s voice consistent, it’s best to assign this role to one person coming from your business account; although others can, and should, participate in the conversation and take photos and video of the event. Another important part of preparing for a live event is becoming intimately familiar with the event’s hashtag. Your target audience will certainly be following the event’s hashtag, so you want to include it in all of your tweets. Also, take some time to review all of the headliners’ handles prior to the event, and during the event keep an eye on the hashtags that are trending and consider including them in your tweets. Be careful of spelling mistakes in your hashtag. Not only could they be very embarrassing but they also mean your hashtags won’t come up if someone searches for it. Using software like Tweetdeck that can auto-populate a hashtag on each tweet can keep this from happening. You don’t want to get into a situation of tweeting on demand throughout the live event. Instead, have some tweets and templates lined up and scheduled ahead of time so that you’re not constantly scrambling to think of something entertaining. This will also ensure that you have content at the ready during the slower periods of the event. Finally, don’t stop listening just because you’re tweeting. It’s always a good idea to set a watch column for the event hashtag in the social scheduler of your choice (like Hootsuite or Tweetdeck). This will generate a steady stream of the event hashtag, and you can retweet the best ones. People appreciate the validation, and they often follow those who enjoy their content.